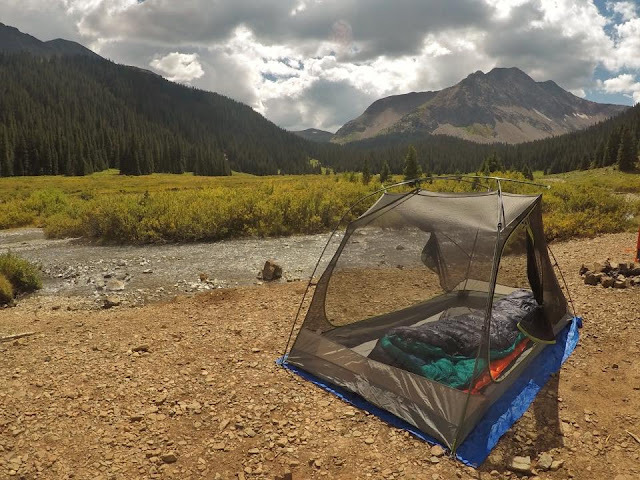 Are you ready to take the leap from car camping to backpacking?! Most people are intimidated to go on their first trip, not confident on their backcountry skills and maybe don't really know what they need to buy. 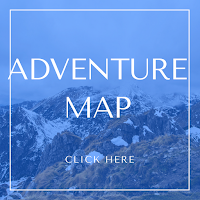 Learning how to use the most important skills will make you a more efficient backpacker, make you feel more confident, and help make your adventure more streamlined. 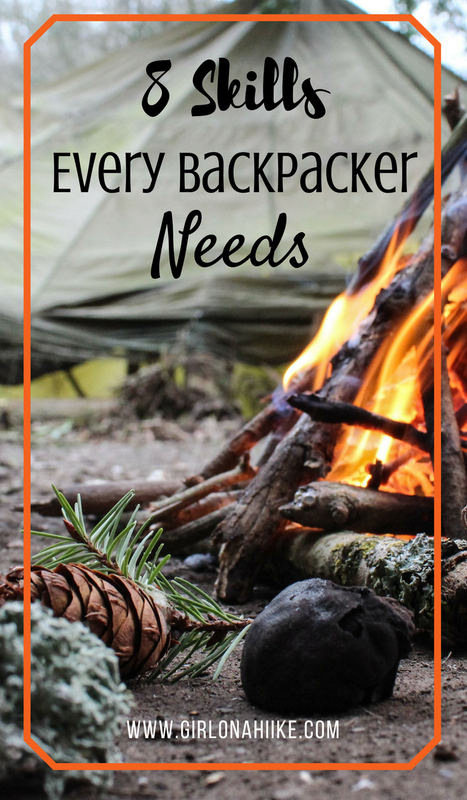 I've put together 8 Skills that Every Backpacker Needs to help you get there! There are two main methods to treat water to remove microorganisms. 1) Use a water filter This is by far the most popular among backpackers. There are many styles, and most weigh under 1lb. My water filter is the Platypus Gravity Works - I like this one because there's no hand pump involved (gravity takes care of it), it's lightweight, can filter up to 4 liters at one time, fast, and works great for group trips because you can just hang it up at base camp, then everyone can share it. If you are by yourself, there's less trips running back and forth to your water source, so it lasts a long time. 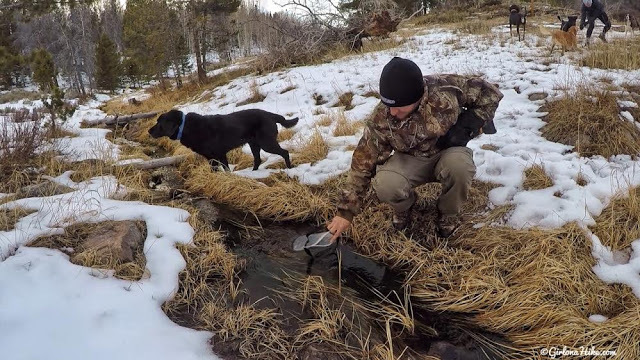 If you prefer a hand pump style, check out the Katadyn Hiker Microfilter. 2) Use iodine pills Everyone should have at least 1-2 iodine tablets in the emergency/first aid kit as a backup to failed water filters (trust me, at some point if you backpack often enough you will end up using these). Some people solely rely on these tablets, but they do make the water taste a little funny, and it does make your *ahem* solid waste turn orange. The first time I saw that I was a little freaked out, but my partner reassured me it was from the iodine tablets. Whew! The other downside to tablets is that it takes up to 35 minutes to be ready. On the plus side, they are by far the lightest weight option. If neither of these options are available, you can also boil water to kill germs, but it won't eliminate everything. Leave this as the absolute last option. 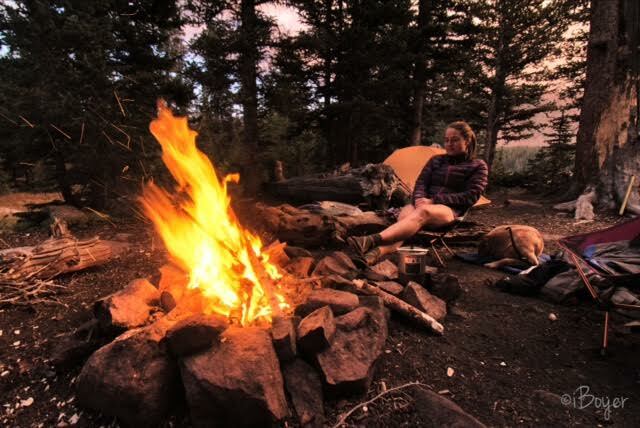 There are three popular ways to build your fire. 1) Pyramid Start with 3-4 large logs side by side on the bottom layer. Turn 90 degrees then add a second layer, with smaller logs on top. Continue alternating, getting smaller as you go, only stacking about 3-4 layers. Place your kindling on top. This is also known as an upside-down fire. 2) Teepee Start with a small cone of kindling around a few handfuls of tinder piled in the center. Once the kindling is going strong and the temperate increases, slowly add larger and larger pieces of kindling. Make sure not to smother the kindling, it needs air to breathe and grow. After that, start adding small logs, then work up to larger logs. 3) Log Cabin Place kindling in the center. Around it place two larger pieces of wood parallel to each other. Then turn 90 degrees and places two more parallel pieces of wood. As your kindling grows, slowly add smaller pieces of wood, like you are stacking Lincoln Logs or a log cabin. Only stack about 2-4 high, depending on the size of your logs. This style is my personal preference. Sounds pretty easy, right? But I can't tell you how many of my friends get a JetBoil then don't know how to use it. Depending on what style you have, all you need is a fuel canister, lighter, and water. Some newer styles have the convenient push-button lighter, however they can break easily so it's still good to know how to do it the normal way. Have your JetBoil filled with water. Connect the fuel canister to the fuel valve. Slowly turn on the gas, and once you hear it, get your lighter and get it going. Don't put your face too close, as sometimes when you first light the propane, it will pop a little. Once the flames are going, connect it to your water/pot. Some people prefer to have everything connect, then light the propane. Either way works. Once the water is boiling and you are ready, I like to disconnect the pot from the propane valve, then pour the water. There's just more control with how much will pour out that way. Again, some people keep the entire thing together, then pour. 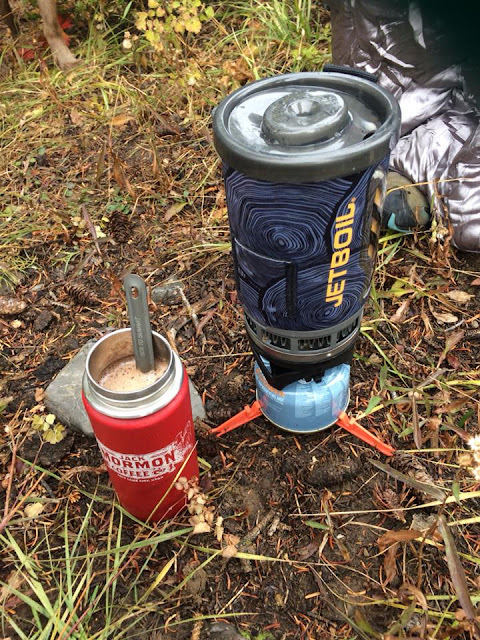 When you are ready to store you JetBoil in your pack, make sure everything has cooled off. 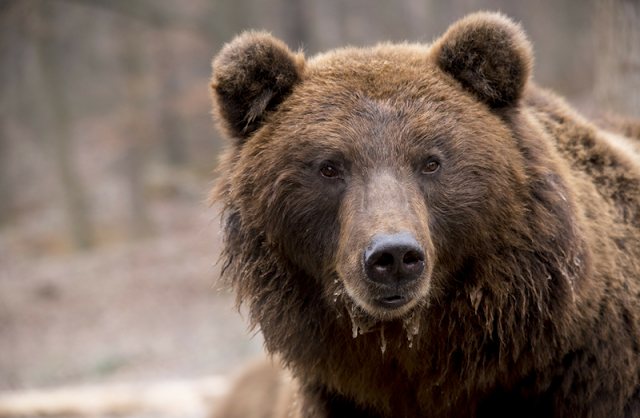 Aww, that's a cute bear, right?! Sure, when he's not eating your food! 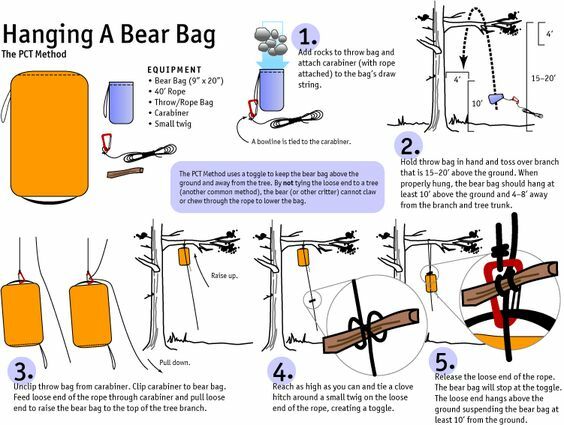 Many trails and wilderness areas require a bear canister, which is super easy to use. Place all of your food in ziplock bags, then place inside the canister. Done! But in places where food storage has no regulations, you can chose to 1) still use a bear canister 2) use a bear bag 3) hang food from a tree branch in a dry sack. If you plan on hanging food from a branch, I highly recommend memorizing a few good knots and practicing with a bag of food in your backyard or park before backpacking. 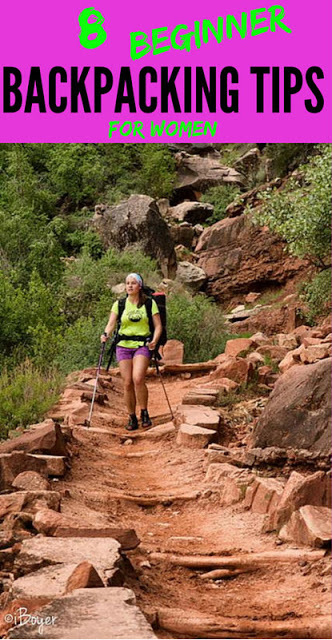 With as much technology we have now, many hikers/backpackers rely on cell-signal to find their way. This is rarely an option while backpacking. Many trail or GPS apps allow you to download maps onto your phone, but what if your phone dies? 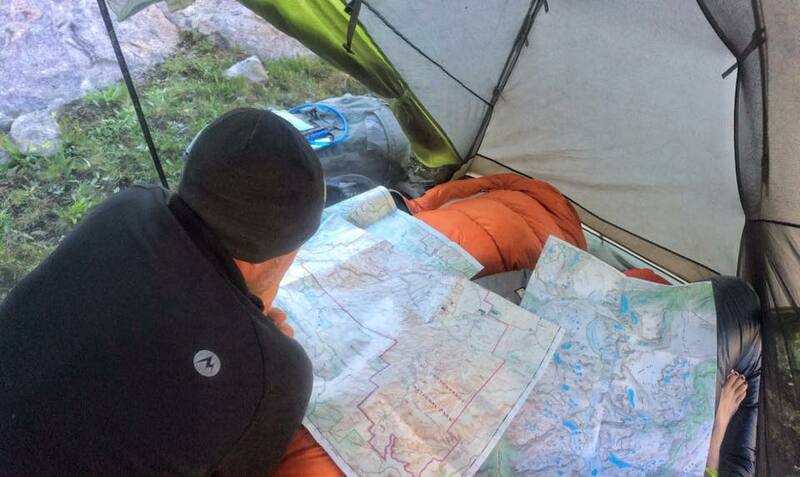 Make sure you know your direction, which trail you are on, and learn how to read topo maps. 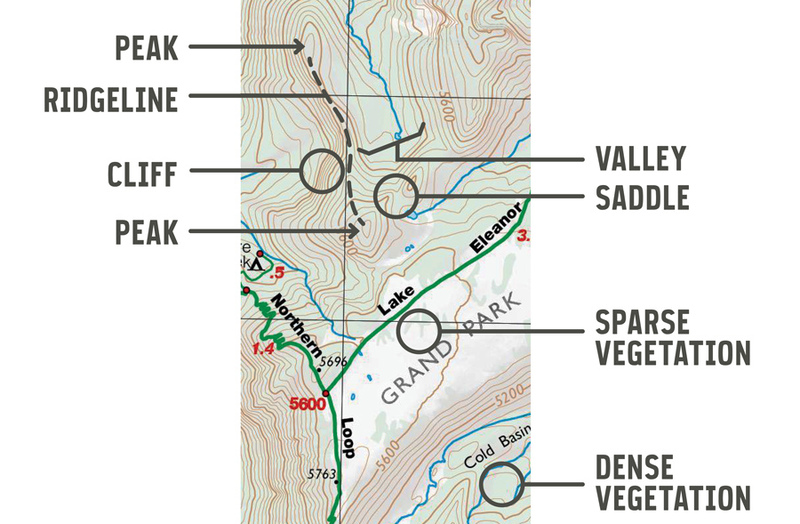 Many local outdoor stores offer free classes on this topic, and can help you familiarize yourself with maps, compasses, GPSs, and offer more resources. I highly encourage everyone to take a class on basic first aid. They can cost anywhere from free, if hosted by local organizations, and even up to $80 (depending on what you will learn). 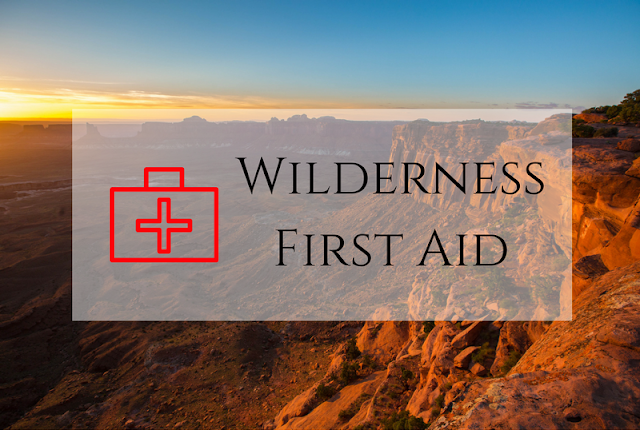 In Utah, you can take First Aid/CPR classes through The American Red Cross, University of Utah, SLC Fire, and REI (for wilderness first aid). 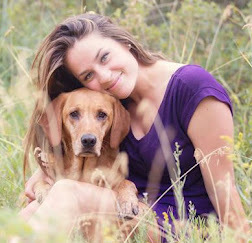 Also have a first aid kit for yourself, and if you backpack with dogs, have them carry their own first aid kit as well. There's nothing worse than hiking all day in the rain, only to set up camp also in the rain when everything is soaked. 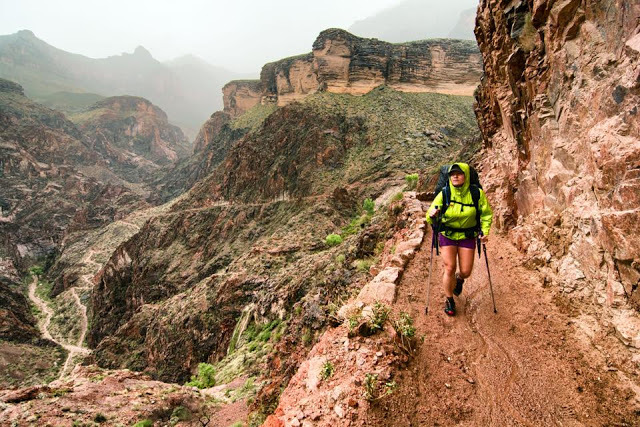 I know - I backpacked 18 miles in the rain in the Grand Canyon! Everything was soaked to my bones. 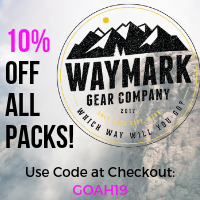 Here are some tips to staying dry while backpacking - don't wear anything cotton - evaluate your rain gear, and test it on a rainy day hike before using on a backpacking trip (REI has an amazing return program!) 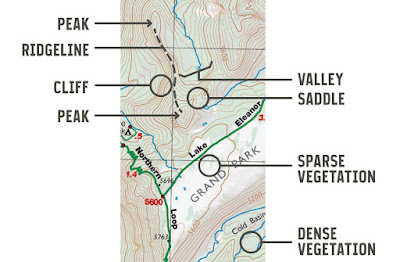 - evaluate your footwear (even the best waterproof shoes will get soaked all day in the rain, so have a backup to hike in, like Tevas/Chacos) - bring blister supplies - try wearing rain pants - put a pack cover on your backpack - use a pack liner, like a large trash bag - put everything in a ziplock or dry sack bag - hang clothes to dry on paracord - seize weather windows (hike as soon as rain stops, or earlier in the day) - when setting up a tent, choose higher ground, and orient tent doors away from the wind - bring hot chocolate or tea to warm up! 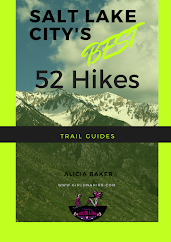 While the LNT pricinples began as a guide for backcountry users, these guidelines also apply for "front country" users as well (those traveling by car to city/state/national parks or other). 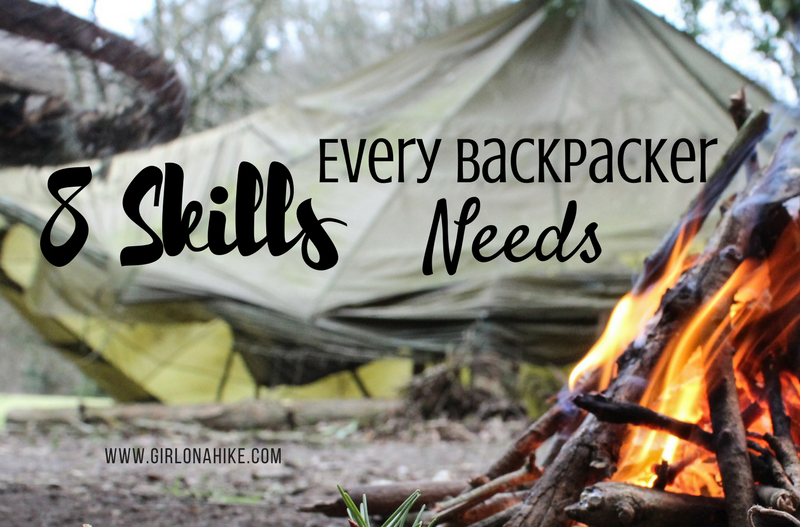 What other skills do you think are essential? Post your idea in the comments! 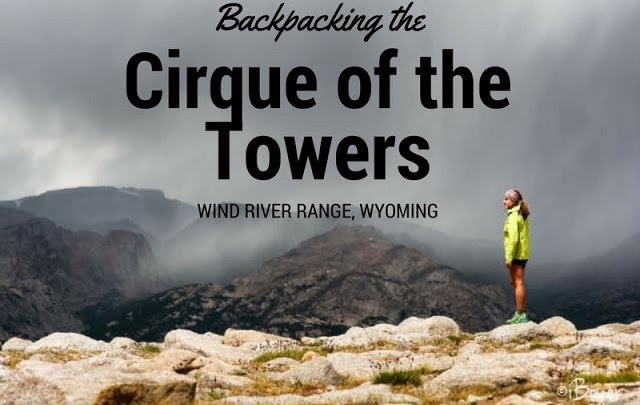 Check out my post on Backpacking to the Cirque of the Towers in Wyoming! 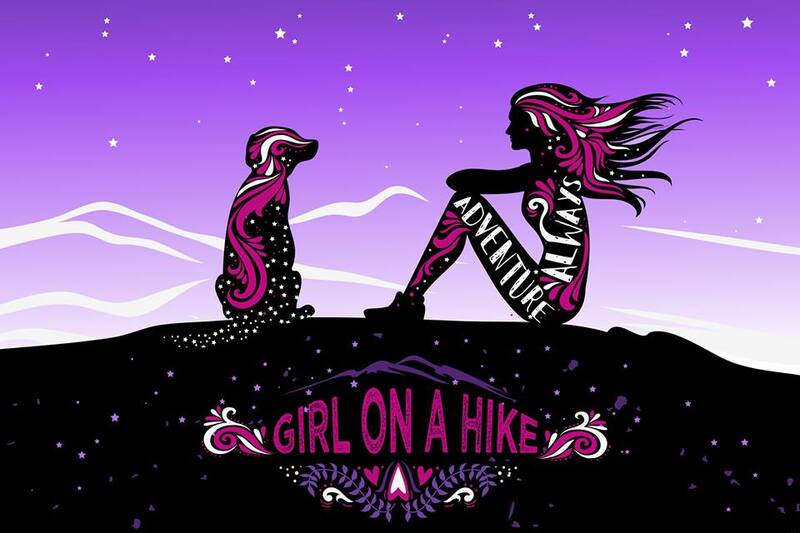 8 Beginner Backpacking Tips - for Women! Boiling, according to studies is the best method to kill things like Cryptosporidium and Giardia as well as some viruses. Filters do well, but most don't deal well with viruses well because they are smaller. Some though can filter out pesticides and fertilizer that may have washed into the water. Iodine has also been found to not kill Cryptosporidium so Chlorine dioxide is a better choice.